While the MCU has dominated theatres for the past decade, DC has been putting out a constant stream of animated movies. Most of their animated movies are adaptations of classic DC stories and if I'm being perfectly honest here, most of them range from being mediocre to outright bad. The problem usually lies in how the stories are adapted. By all accounts, it should be simple for a comic book to be turned into an animated movie, but the animation has usually been subpar, the stories have weird additions and subtractions, and they usually truncate the source material into a shadow of its former self. The fact that DC turned "All-Star Superman", one of the greatest superhero comics of all time, into what was essentially a three-part Superman: The Animated Series made-for-tv movie should be a crime against humanity. But hark, through the heavens late last year, trailers began to surface of a DC animated movie about Batman being a ninja. Some of you may roll your eyes, but the animation looked solid, it was directed by the creator of Afro Samurai, and featured an original Elseworlds story about Batman and a group of Gotham villains being sent back in time to feudal Japan. It looked interesting, and I couldn't wait to see it. Now that I've seen it, I can't stop gushing over it. Between Infinity War and this, this is a great week for superhero movies because my God is Batman Ninja a masterpiece of animation. 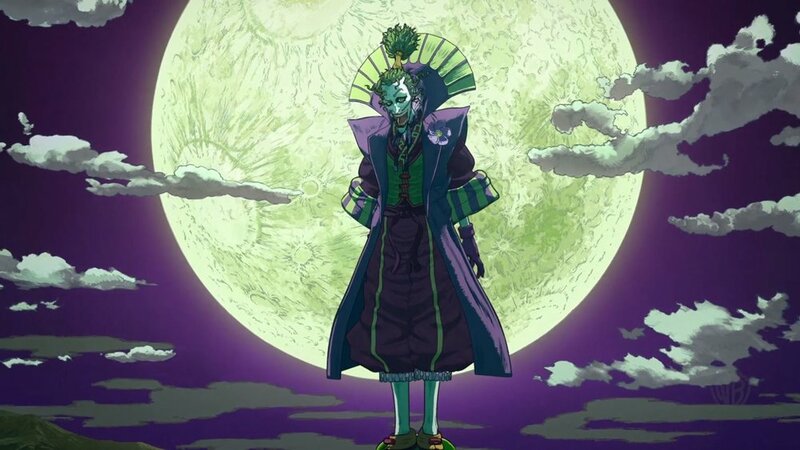 I'm just going to cut to the chase and save us all some time on this; Batman Ninja is a stunningly animated movie. I'm not really a fan of CGI, but it was used here in all of the right ways. The characters all look fantastic and are animated spectacularly, with the best animation saved for the massive action scenes between heroes and villains. The action is fast and frenetic, but it's always clear exactly what's happening. In so many action shows, between a shaky cam and weird animation styles, it can be hard to tell exactly who did what and when, but Batman Ninja is deliberate and effective when conveying its action. But that may just be because the production design as a whole is so amazing. Not only did every character receive a redesign to accommodate their feudal setting, but the actual world is just beautiful to look at. It wasn't until a half hour in that I realized the skies had an intricate texture on them that made them look like a classic Japanese painting and, I kid you not, I couldn't turn my eyes away from them for the rest of the movie. When the sky in an animated movie impresses me, you have done something nearly impossible. But each of the character's redesigns are all spot on. The Joker looks like he's an oni daimyo, Red Hood takes on the appearance of a monk, and even Bane shows up as a sumo wrestler for some reason. The only character that I have an issue with in terms of their design is Robin. He has a ridiculous haircut that makes him look more like a brat than anything else. 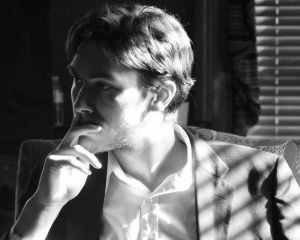 I mean, I hate Damien Wayne with a burning passion, but I hate him because of his personality, not because of his looks. Special mention should be made to Tony Hale's take on the Joker. From the promotional materials, I wasn't all that sold on him. He sounded like a whinier Mark Hamill, but after seeing him step into the shoes of the Clown Prince of Crime, he's a perfect fit for the character. This Joker is much more interested in chaos and causing mischief because he can. Other Jokers usually have some master plan involved, but Hale's Joker seems like the kind of guy who wants to destroy Japan not only because he can, but because why the hell not? But there's also a softer side to his Joker that we see in a stunning watercolor scene that I was not expecting, but was easily one of the highlights of the movie and gave us the movie's most chilling moment. But that's just the kind of movie that Batman Ninja is. It's a movie that throws everything and the kitchen sink at you and tells you to have fun. There's not really any deep symbolism or meditation on Batman or his rogue's gallery like in other Batman stories. This is a movie that is 100% style over substance, but when the movie is as relentless about its style, all you can do is throw your hands in the air and just enjoy the ride. I was grinning like an idiot while watching this movie because I just couldn't believe what I was watching. I felt like a kid again! This is pretty much a love letter from Japan to Batman and his mythos. It's a perfect fusion of the two that I didn't know could be done. Most, if not all, of the major tropes in the anime industry pop up here in some way, shape, or form. Transformation sequences, intense screaming in battles, goofy running animation, and even legitimately funny comic relief. If you're an anime fan, you owe it to yourself to watch this, especially the last third. The ending was so over-the-top, so glorious, so awesome that I had to stop the movie a couple of times just to collect myself. If there's one legitimate complaint I can lodge at this movie, and it is a small one, it's that Batman undergoes a weird arc at the beginning of the movie. There's a point where he becomes disheartened about fighting the villains because he doesn't have access to his gadgets or vehicles, and I'm just left scratching my head at this. When he started out he didn't have gadgets or vehicles to work with. The man just had training from a group of assassins and it was only afterwards that he got advanced tech to fight the bad guys. This arc for him is just odd, but thankfully it ends after a couple of scenes. 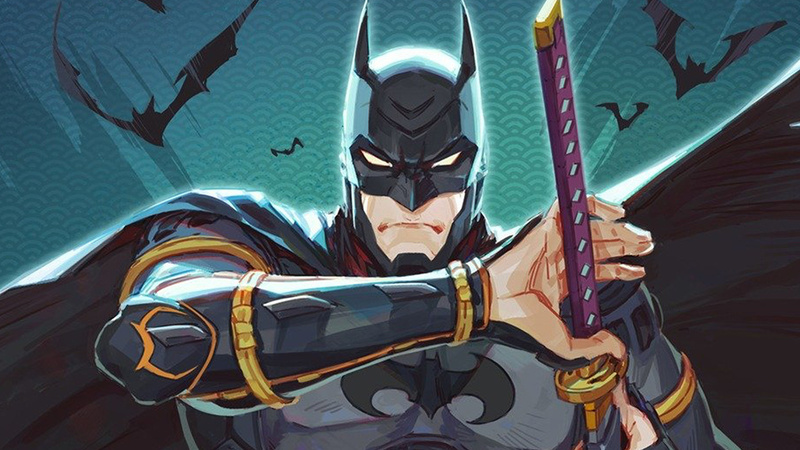 I cannot stress enough how much of a fun time I had with Batman Ninja. This is the new high bar for DC animated movies. Hell, I would even rank this as being one of the best animated adaptations of Batman period. The gorgeous animation, ludicrous fight scenes, and pitch-perfect acting by Tony Hale and Roger Craig Smith, who returns as Batman, are enough to draw you in and keep you there. Plus there's giant robot castles, monkey armies, and Batman wielding a samurai sword. Plus just when you think you know what's going to happen, the movie will throw twists at you that will keep you on your feet, even though it's just an 82 minute movie. If you're a comic book fan, go see this movie. If you're a Batman fan, go see this movie. If you're an anime fan, go see this movie. If you enjoy fun in any capacity, you need to see this movie. I am so glad I was able to see this and I am most definitely hoping for a continuation in some way.